Beats In School is out, and the winners are in. 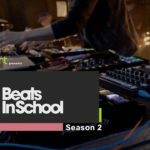 After an expanded second season, Beatport announced the four winners of the BIS (Beats In School) mentorship program. 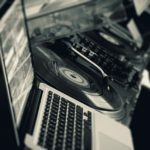 The year-long initiative not only uncovers new and unsigned talent, but also provides the tools and mentoring for a lasting career in electronic music. Following an influx of entries for this instalment, Beatport along with its label partners selected 4 concurrent winners for the 2019 program, with each of the winners embarking on a year-long mentorship with an elite label in their genre: Dirtybird, Hospital, mau5trap and Second State. 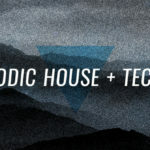 Crossing the worlds of tech-house, drum & bass, progressive house and techno, the Beats In School 2019 winners are Sammy Legs (Dirtybird), Redemptive (Hospital Records), Donny Carr (mau5trap) and dotdat (Second State). In addition to direct A&R from top label ambassadors, BIC covers all facets necessary for a successful career. 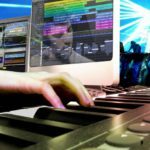 Educational partners Berklee School Of Music and Point Blank Music School will provide tailored production courses and one-on-one tutorials; while industry experts representing Beatport and the AFEM (Association For Electronic Music) help winners navigate the business. Additionally, the coveted prize package includes industry standard gear and specialist training from ADAM Audio, Focusrite, Moog, Novation, Roland, V-Moda and WAVES Audio. Despite the overwhelming response to season two, Beatport is committed to addressing the program’s gender imbalance. Following a low number of female entrants, this year’s winners are all male. Beatport is working together with industry advocacy groups to encourage more entries from women in future seasons. 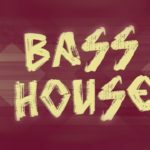 Watch out for these Beats In School alumni, they are sure to make serious waves in the electronic music game.